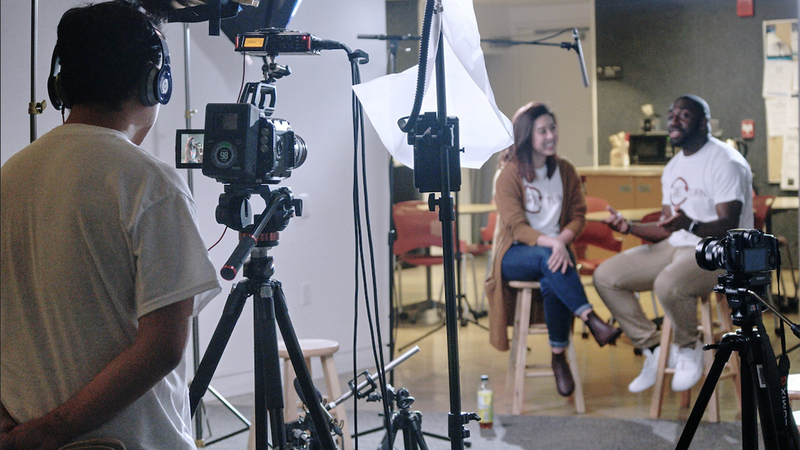 Violet Nguyen, MA SID'19 and Isaac Cudjoe, MA COEX'19, during the video shoot for the (Re)turn documentary. Five hours from Ghana’s capital city of Accra lies Bogoso, an impoverished village where Cudjoe lived until age 3. While outsiders have benefited from its precious minerals, locals have largely been left behind—though the people and their spirit are more valuable than any of the minerals there, says Cudjoe. Many have turned to small entrepreneurial ventures, while Cudjoe’s father and mother found work as a teacher and a seamstress, respectively, to raise their five children. “My dad always tells me he didn’t plan to come to America,” Cudjoe says. It was on a whim that his father applied for the U.S. Diversity Visa Program, urged on by friends who were doing the same. When a letter arrived telling him he’d been selected, he connected with a distant cousin living in the suburbs of Washington, D.C. and set off alone to scope out the unfamiliar surroundings. When he decided he could build a future in Maryland, he brought over his wife and youngest son. “My parents did a really good job of keeping me aware of my Ghanaian heritage in a way that eventually made me want to investigate it on my own,” Cudjoe says. Even while he maintained a steadfastly American identity at school and in public, at home, he spoke Twi and Fante, his parents’ local dialects, ate Ghanaian food, and absorbed some Ghanaian folklore, which made its way into an occasional book report. On the weekends, he attended a Nigerian church, which connected him with fellow West African immigrants and their kids. It wasn’t until college that he fully dove back into his roots. He was driven by increased societal acceptance of African culture—through media, food and fashion—as well as new, direct access to pan-African and cultural clubs at Mount St. Mary’s University in rural Maryland. There, Cudjoe studied political science and history, dipping his toes into international relations for the first time. He worked on development projects to help schools in Paraguay and even returned to Ghana for the first time as an adult to teach over the summer—but quickly realized he wasn’t making much of an impact. He started to think seriously about what it meant to be a member of the African diaspora, coming to a central question: How can diaspora impact the world in the right way, that’s respectful of the existing leadership and social hierarchies in their home countries? “I realized an undergraduate degree wasn’t enough to make the change I wanted to make. I wanted rigor, and an environment where more people were like me,” he says. That’s when he turned to Heller. 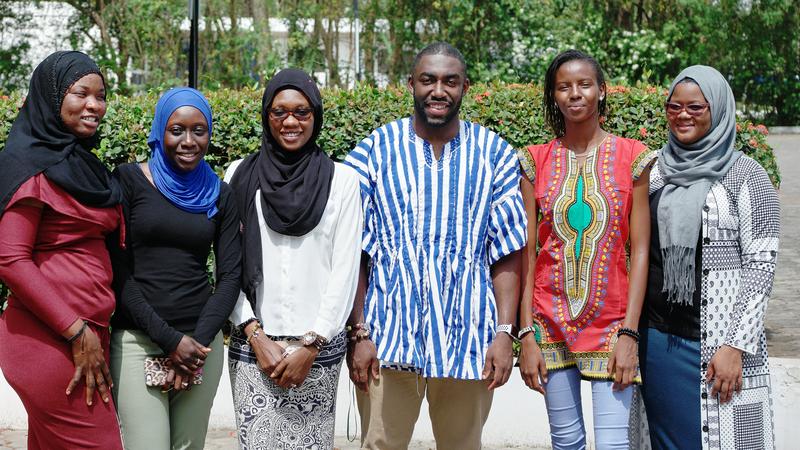 Isaac Cudjoe, MA COEX'19, in the striped blue shirt, in Ghana with participants in the Young African Leaders Initiative. During his first year studying conflict resolution and coexistence, Cudjoe has become a leader in his Heller cohort. He worked with Associate Dean for Equity, Inclusion and Diversity Maria Madison to create an event in the Sankofa Community Conversations series at Heller, which fosters dialogue around difficult issues, as well as on his independent study project, the documentary. When a rare opportunity arose for Cudjoe to learn alongside youth leaders in his home country, he jumped on it. 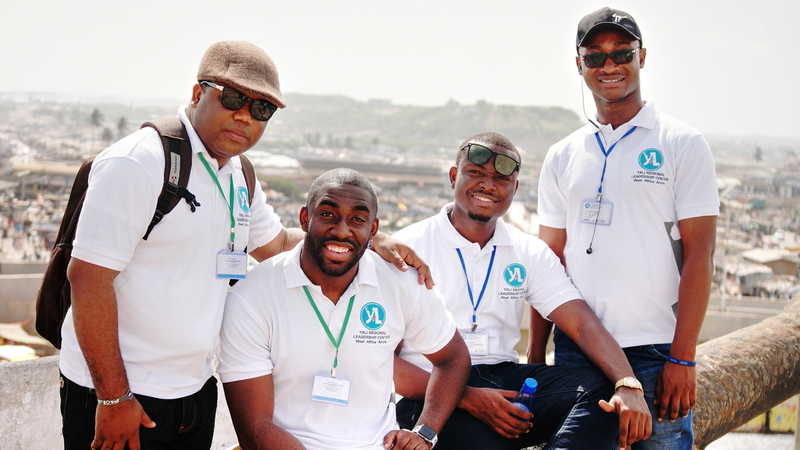 He spent all of March at the YALI Regional Leadership Center in Accra. The program was created by President Barack Obama in 2010 to offer in-person and online training, networking and professional development opportunities for sub-Saharan African leaders between the ages of 18 and 35. More than 4,000 people applied for a spot, and Cudjoe was one of just 148 finalists invited—and the only one raised in the United States to do so. “It was amazing to meet all the participants, who live in the contexts I’m studying every single day,” says Cudjoe, who took classes with leaders from nine different West African countries. Among the highlights: meeting the founder of CP Awareness Ghana, a non-governmental organization (NGO) that raises awareness and funds for children with cerebral palsy; connecting with a young member of Parliament who used to work as a radio deejay; and visiting a rice farm that creates sustainable funding for an NGO that addresses human trafficking. Cudjoe juggled YALI during the day and Heller at night, relying on classmates to video chat him into class. But despite the crazy schedule, he returned to Heller energized to kick off filming for the second part of his documentary. (Re)turn was never meant to be just about Cudjoe and his journey. 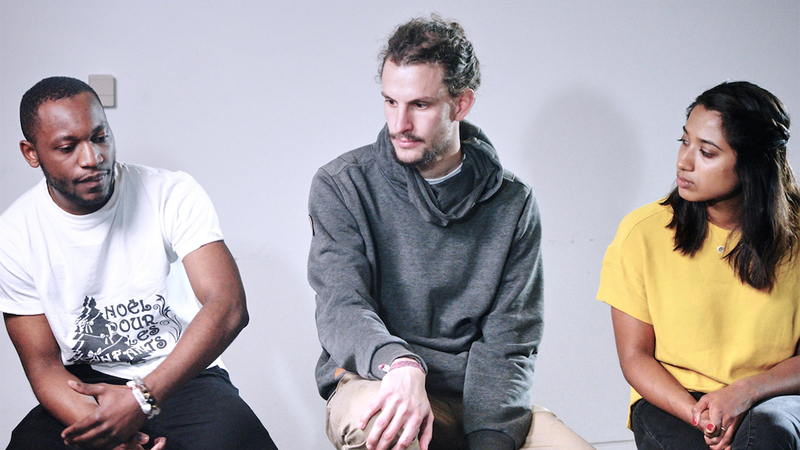 While he shared his own migration story on camera in part one (above), his goal was always to invite others to join the conversation around reintegration of diaspora. He posted part one on Vimeo, as well as a shorter version on Facebook and Instagram, where it gained more than 10,000 views. That’s what drew Nguyen to the (Re)turn movement. 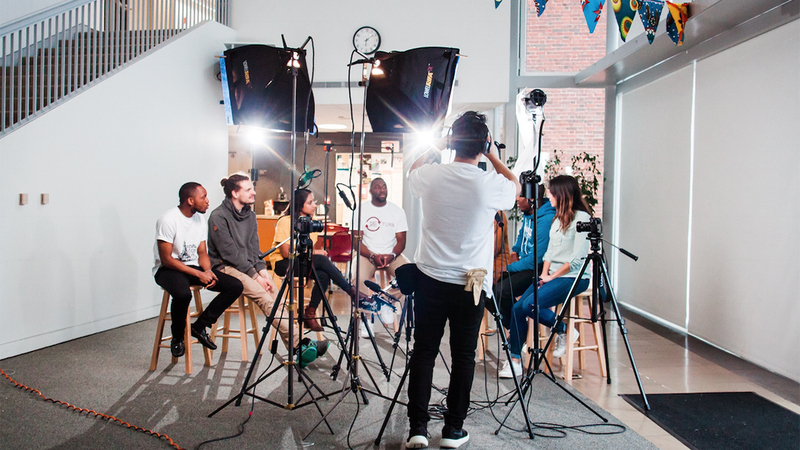 She’s one of seven fellow Brandeis students featured in part two of the documentary, with roots in Burundi, Germany, Mexico, India, Nigeria, Vietnam and Liberia. “There are so many misconceptions about what a Mexican is, who a Mexican is and why we’re here in the United States. One of my biggest roles is to expand people’s ideas or visions of who Mexicans are,” says Zyanya Aguilar-Nelson, MA SID’19. The discussion concludes with the participants making commitments to advance the reintegration of diaspora. Those range from creating virtual and physical pathways home for people who don’t know how to establish those connections; pairing members of the diaspora and those in their home countries for mentorships; and sponsoring entrepreneurs. “I came to the U.S. for opportunities, but that doesn’t mean there’s no opportunities in Liberia,” says Joe Wilson, MA SID’18. 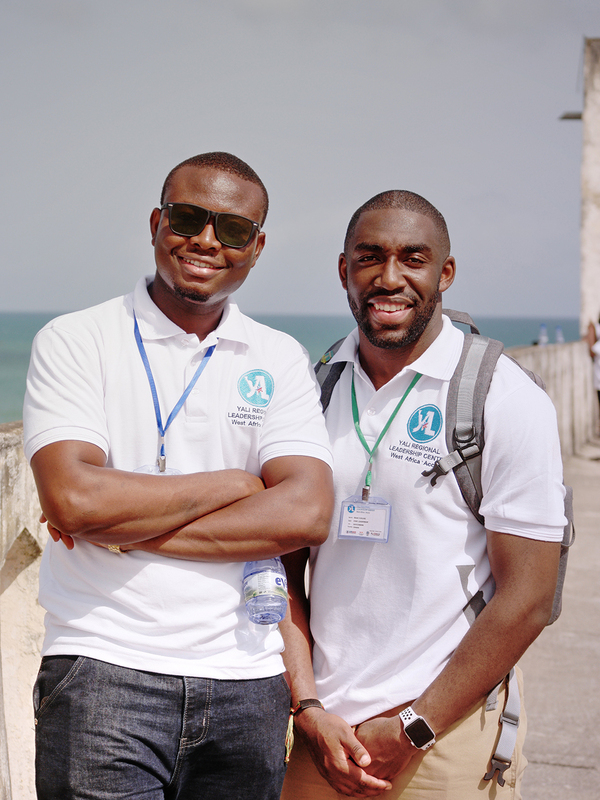 Now, with the documentary completed, Cudjoe has returned to Ghana to complete the service portion of YALI. There, he’ll have the opportunity to meet with the Ghanian government’s diaspora representative, as well as screen the documentary at a library in Accra. He’s confident the network he’s built up through YALI and Heller will transform the (Re)turn project into a global movement.